In the U.S., anyone can open a dance studio or dancewear shop – no regulated training or certification required. And this is a good thing for a lot of reasons. Even principal dancers have no document proving their abilities – their careers just speak for themselves. This does mean, however, that a lot of unqualified people get to open studios and shops regardless of their training. 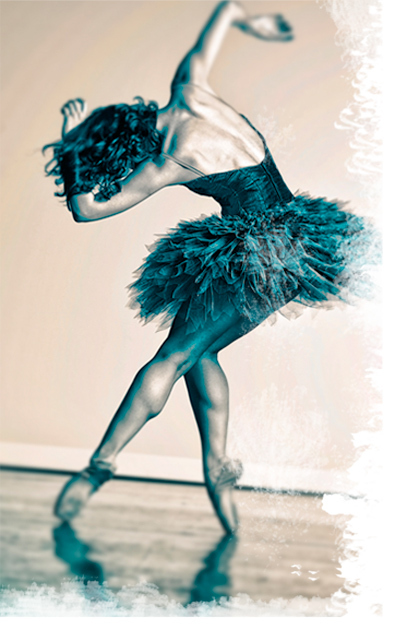 When it comes to a dance technique as advanced and specialized as pointe, the results of their undereducated counsel can be devastating to a growing dancer. What can you do about this? First, you must research the background of your teacher to make sure she is well qualified. A professional career, training at highly ranked dance schools, and pedagogical study are things to look for. Unqualified teachers are rarely educated in or enforce pointe readiness parameters. Second, educate yourself before you walk into your first pointe shoe fitting. To help you out with this, I posted basic pointe shoe terminology yesterday. Today, I’ll give you an intro to basic foot shapes and how to choose pointe shoes that make sense for each. Greek or Morton’s: This foot type has a long second toe. The rest of the toes are shorter. The width tends to be narrow to medium. These feet tend to prefer a somewhat tapered box. Egyptian: This foot type has a long first toe. The rest of the toes taper. The width tends to be narrow to medium. This foot tends to prefer a tapered box. Giselle or Peasant: this foot type has at least three toes the same length (sometimes more). The toes tend to be short and the width medium to wide. This foot usually prefers a square box. Stand on flat parallel to a mirror and examine your foot. Is it flat against the floor? Do you have a high arch that protudes upwards? Or do you have a foot height that is somewhere in the middle? This will affect your selection for the profile of the shoe. Lastly, look down at your toes. Are they very long, short and stubby, or just medium length? This will affect the vamp length that you need. Using these three basic parameters (footprint, foot height and toe length), you can choose which shoe types to begin your fitting with. In order to do that, however, you need to know which shoes mimic these shapes. Unfortunately, marketing departments of pointe shoe manufacturers do not always give correct information in their pointe shoe descriptions. But there are researchers out there who carefully measure and examine pointe shoes for historical and scientific purposes. This is where you can really get good data on what shoes exhibit each feature that you need. My favorite pointe shoe resource is The Perfect Pointe. The researchers from this group have compiled an invaluable Master List of Pointe Shoes, which is an easy to use chart for choosing shoes with the features you need. Following this basic guide should get your fitting off to a good start. In upcoming posts, we’ll talk about choosing a size (It’s not like street shoe fitting!) and examining each shoe you try for proper fit. So is vamp short for … vampire?